Join Tranont Associates and learn from top company executives and leaders on how you can master your business! Be the first to hear major annoucements and improvements to Tranont and how to make your business flourish. Get access to early entry, VIP dinners, exclusive activities, and more when reach new levels of success. Stay tuned for competition details! 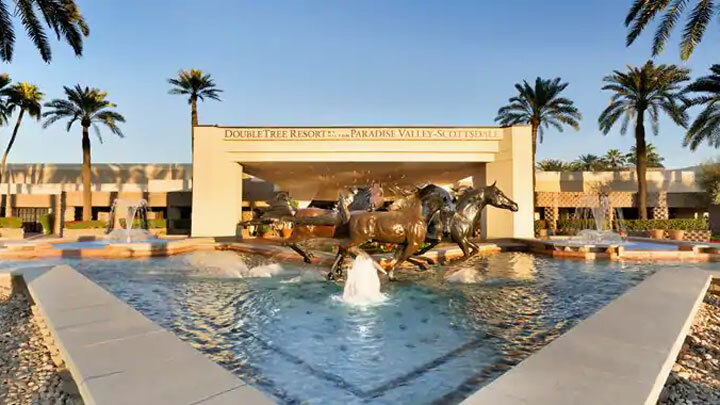 Get exclusive rates when you reserve your room at the Double Tree Paradise Valley Resort through the link below. Book your room today! Limited rooms are available and they will go fast! Convention is the experience you've been waiting for. Gain valuable insights into Tranont, including the latest on new products and annoucements. Expand your vision for yourself, your team, and your community. about the impact you can make with Tranont. Better understand about the impact you can make with Tranont. How do I register for the Phoenix International Convention? Convention begins Thursday October 17th at 1:00pm local time (doors open at 12:30pm) and ends Saturday October 19th at 6:00pm. Is there a training that I can use to help others attend Convention? Yes. Mr. Brett Tomazin gives a great example of how to use home meetings, weekly meetings, and Super Saturdays to build momentum leading into Convention. Will you provide an ASL interpreter for hearing impaired attendees? Yes, if we know there is a need. Please email greg@tranont.com and let him know you will need an interpreter. Can I sell my ticket to another Associate? No. Convention tickets are non-transferable. When do ticket prices increase? What hotel do I stay at? Book your stay at the DoubleTree Paradise Valley Resort with our exclusive group discount. This will sell out as there are limited rooms available. Will there be a Women’s Luncheon? Yes, we will be holding the Women's Luncheon at this event. We know how impactful the Women’s Luncheon has been and we are excited to bring it back. Stay tuned for information on how to purchase a ticket! Are there child care services at the venue? Unfortunately, no. Please do not bring children. Any person, regardless of age, entering the event must be a credentialed participant. Associates will be asked to purchase additional tickets for any guest they bring.